As the weather warms up it is time to change up your skin care regimen. Go through and discard any sunscreen that is over a year old and replace it. Heavy creams can now be used as a night cream in favor of something lighter, possibly one with SPF in it. Take some time 2-3 times per week to treat your skin with a mask or exfoliate with a gentle scrub to remove dry skin. Because your skin’s needs change as the seasons change, a professional treatment is reccomended too. Book a facial is you don’t already schedule them monthly. You can find me at Salon Riza (978-557-7870) in North Andover, MA, and also at Sofia E. Day Spa (781-224-3334) in Lynnfield, MA. Goodbye to the Balans Team! When I reflect upon the time that I spent over the last few years working at Balans, my heart is filled with joy. It was a time of personal growth and discovery with a wonderful staff. I feel fortunate to have worked with such a great team. When I started, I was the only esthetician at Balans Wellness Studio. I was able to watch the business grow and open a 2nd location. I feel honored to have been part of this fantastic team that was awarded Improper Bostonian’s Boston’s Best for 2016. It is with a tear in my eye that I say goodbye to my friends at Balans Organic Spa on Newbury St. in Boston and say hello to new opportunities. With so many choices of products, it can be hard to tell what is best for your skin. At Balans, we use MARIA ÅKERBERG Deepskin Organics. This Swedish line uses cold-pressed vegetable and essential oil and no chemical preservatives. Even the packaging is eco-friendly. Conventional plastic bottles are made from plastic that is derived from petroleum. MARIA ÅKERBERG uses “bioplastics” made from fair trade sugar cane. Biodegradable clay is used for the printing. All packaging is recyclable. The products are made using 100% organically grown and raw ingredients and are free from synthetic ingredients and chemical preservatives. They have a shelf life of up to 3 years due to the unique essential oil blends that self-preserve the products. My little girl made an early entrance into this world and I did not have a hospital bag ready for when I went to the birth center at the hospital. Thankfully, my husband and my sister came to the rescue with everything I needed for what ended up being a 2 week stay with both bed rest and my daughter in the special care nursery. Comfy pjs and my body pillow from home made sleeping in a hospital bed much more comfortable. The hospital provided all of the basics, but it was really nice having some of the comforts of home as well as my own toiletries. As the weather continues to get colder, it is even more important to pay attention to your skin’s needs. 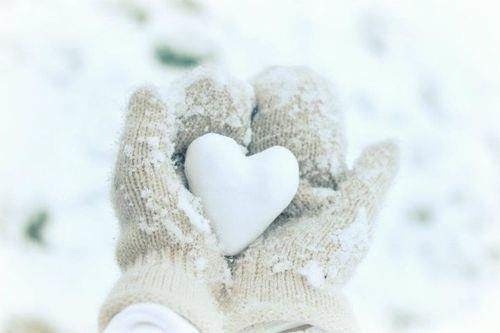 Dehydration and chapped lips can be kept away by choosing products that can better protect you from the cold. It is a good idea to use an organic product line that is free of harsh chemicals and preservatives that can be damaging to your skin. At Balans, we use MARIA ÅKERBERG Deepskin Organics from Sweden. Hydration is essential for a healthy complexion. Due to dropping temperatures outside and having to crank the heat indoors, many people experience flaky skin and dry lips in the Winter. This time of year, it is helpful to use a thicker moisturizer. 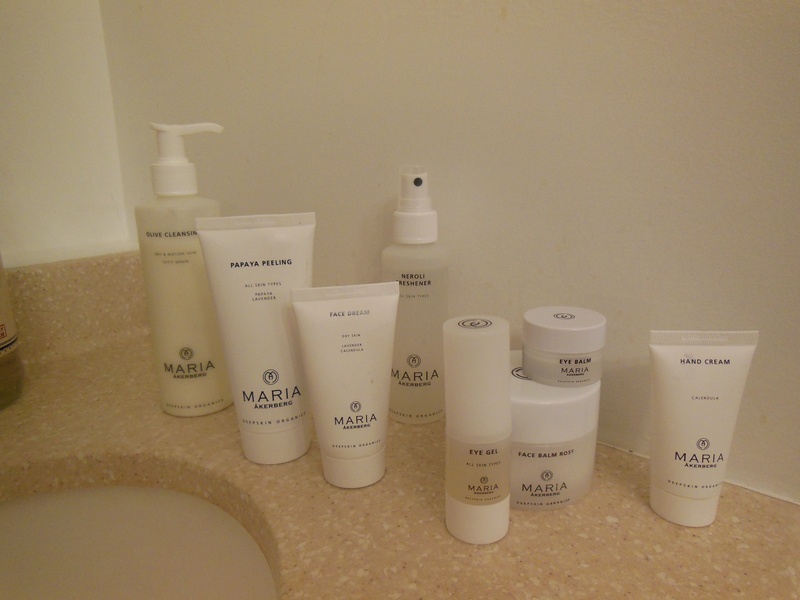 For sensitive and dry skin try Face Protection by MARIA ÅKERBERG. It contains chamomile which is soothing and can help heal dry patches. They also have an amazing vanilla lip balm that helps keep lips soft and supple, Lip Care Vanilla. If you are not already using facial oils, balms and masks, now is the time to start! Facial oils help maintain balance and restore your skin’s natural production of oil. Balms also deliver the healing properties of essential oils to treat your skin but are thick so I prefer to use them at night. Masks are also a great way to deliver healing ingredients directly to your skin. There are many to choose from, so look for ones high in antioxidants. Some products from this line that work particularly well during winter months are Olive Cleansing, Royal Facial Oil Rose, Face Balm Neroli and their Eye Balm. 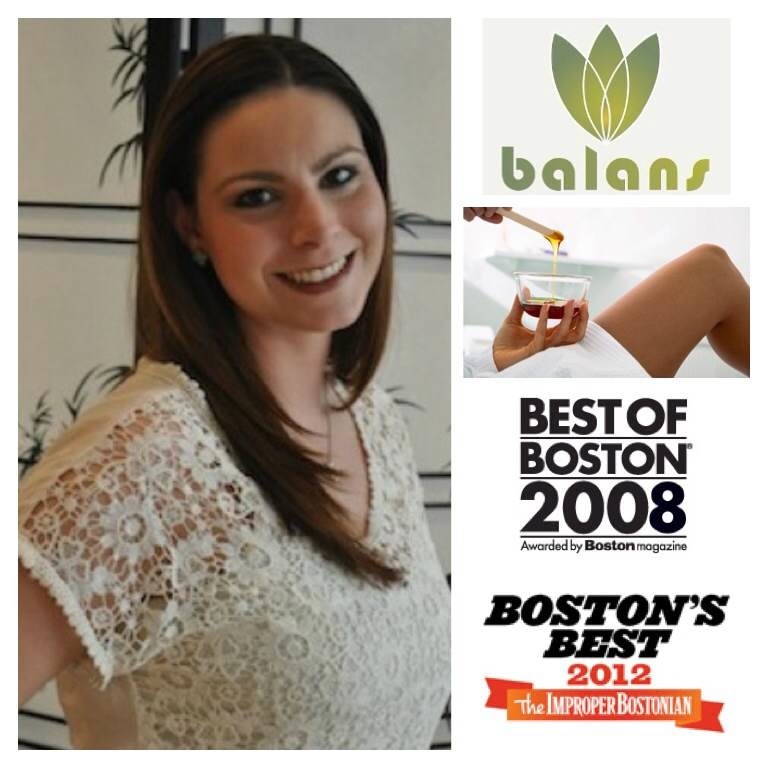 These products can be purchased in the online store at http://www.bostonbalans.com, or you can call Balans at 617-450-8333 to schedule a facial and I will customize a routine for you. 1. Hair needs to be long enough to wax. It should be long enough that it does not stick strait up and lays flat against your skin. For brows, this means that if you can’t grab it with tweezers, the wax won’t be able to stick to it either. Let those hairs grow out at least 2 weeks. For waxing other areas of the body like legs or the bikini area, the grow out phase will be 3-4 weeks, especially if you have been shaving. 2. Wax likes clean skin. While makeup won’t necessarily interfere with a brow or lip wax, body lotions will prevent wax from sticking to other parts of your body. I recommend exfoliating in the shower prior to your appointment and not applying moisturizer or any numbing cream before you come in. 3. The more frequently you wax, the less it will hurt. Waxing monthly is ideal. This is because when you pull hair out at the root, a new hair has to grow in the follicle. Young hairs have shallow roots and lift easily. The longer the root has been growing, the thicker, deeper and more difficult it is to pull out. 4. Timing is everything. The best time to schedule a Brazilian bikini wax is the week after your period. This has to do with your hormone levels. It will hurt the least if you come in that week. 5. Give your skin time to rest immediately after getting waxed. Many clients want to put makeup on right after getting their brows waxed, but I encourage them to wait an hour or at least until the redness goes away before applying eyeshadow. You don’t want to irritate freshly waxed skin. This goes for body waxing as well. No one should be going to a spinning class immediately following a leg or bikini wax! 6. In the weeks following a wax, be sure to exfoliate and moisturize. This will keep your skin smooth and prevent ingrown hairs. Ingrown hairs are caused by dry skin covering the follicle. 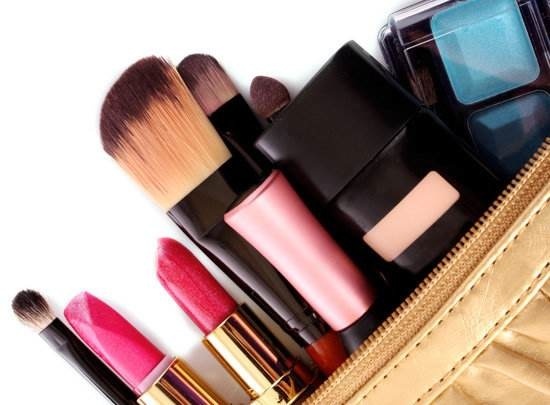 The Dangerous Truth About Cosmetic Ingredients: What’s Really in Your Makeup Bag? The other day, I was having tea with my good friend, Megan Graham of Megan Graham Beauty on Newbury Street and she asked me what kind of makeup I use. At first I thought this was just simple girl talk, but then she explained that she was concerned about the chemicals in the products she was currently using. The truth is that since leaving my salon job a year and a half ago to join the wellness team at Balans, I really haven’t been using much! That need to “put my face on” is not as strong for me these days as it was for me during those years at the hair salon. I am glad that she asked me because now, more than ever, I am aware now of my environmental footprint and what ingredients I use on my body. Since working with the line MARIA ÅKERBERG Deepskin Organics, I have learned a lot about how important sourcing of ingredients is. This definitely applies to skincare products, but perhaps even more so for makeup. There are a myriad of nasty chemicals lurking in most popular cosmetic brands. Benzyl Peroxide, Parabens, Sulfates, Silicone and Mineral Oil. 1. Benzyl Peroxide– This is a popular ingredient in many acne products despite being and eye, skin and respiratory irritant. It produces DNA damage and may act as a mutagen. 2. Parabens– These are highly regulated in Europe because there is evidence that they interfere with hormone function and are endocrine disruptors. They are widely used in the USA, and other parts of the world as preservatives even though they are known to be toxic. You may be surprised by how many products you already have contain parabens. Look out for methylparaben, butylparaben, isobutylparaben and ethylparaben. 3. Sulfates– This ingredient is found in everything from car wash, to personal care products, especially shampoo. Although a known irritant, it is widely used to make products foam. Look out for Sodium Lauryl Sulfate (SLS) and Sodium Laureth Sulfate (SLES). 4. Silicone– This ingredient is derived from Silica (sand) that has been chemically processed. In Europe it is classified as an endocrine disruptor. This is a popular ingredient in eye shadows, eye liners, liquid foundation, lipstick and powders used to increase water resistance and to make it spread easier. Look out for dimethicone and siloxanes. 5. Mineral Oil– This ingredient is derived from petroleum just like motor oil and interferes with the body’s natural ability to breathe and release toxins. It is used in many creams and personal care products. Sadly, Baby Oil is 100% Mineral Oil. Stop using it! it is no good for you or your baby. Besides clogging your pores, it is also linked to Cancer.